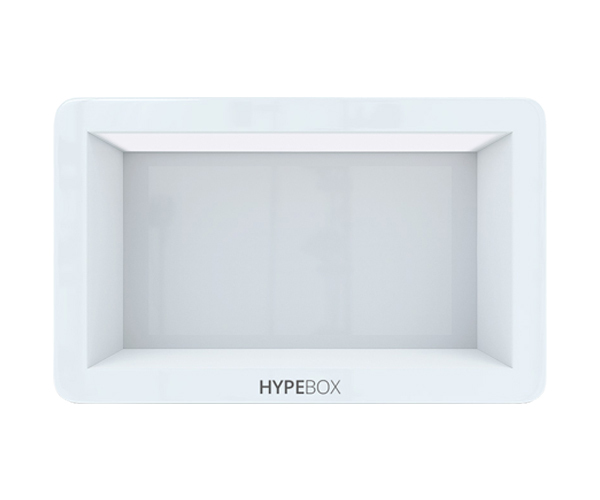 ABCOMDSS introduces the North American market to the Transparent HYPEBOX®, a real-life way to showcase your products inside a box while playing digital content at the forefront! 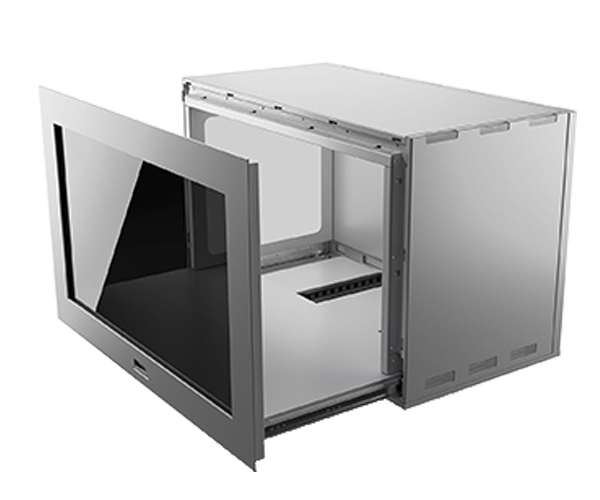 With up to 10 points of touch your audience can interact, learn and collaborate simultaneously making this an all-in-one marketing tool for any setting. 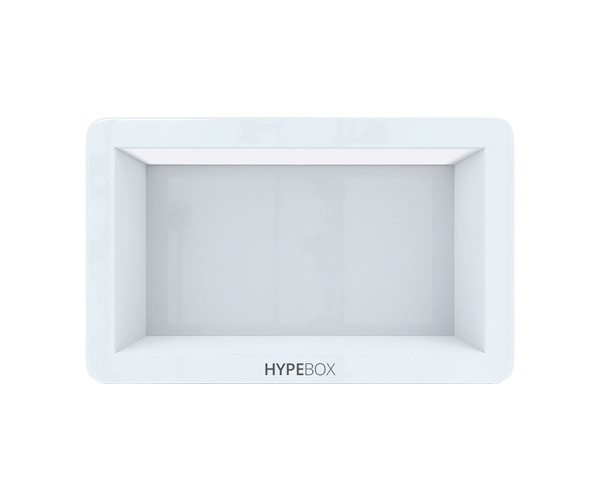 Fully customizable, the HYPEBOX® is a unique solution that will transform the user experience. 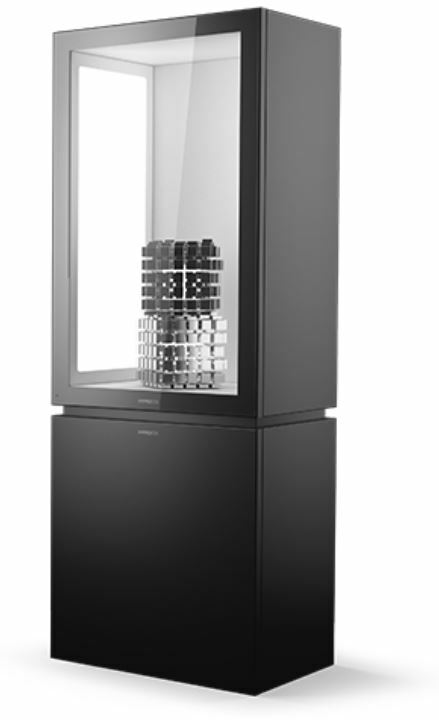 The design came from the streets of Berlin with a clear focus on quality. 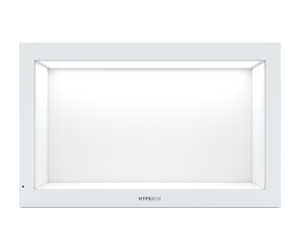 The product is made of steel construction and a white powder coating finish with optional other colors. It is truly a unique and clean design that attracts any audience! 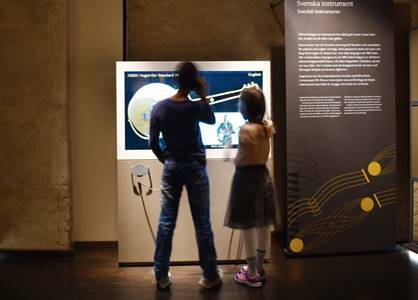 This installation in a museum in Sweden combined digital content and a real life guitar in an exciting and interactive way. Through the transparent screen, the audience can see the guitar as a physical object while a digital layer of information is displayed to them! A musical journey was built where famous artists are seen playing music and talk about components that make up the guitar. 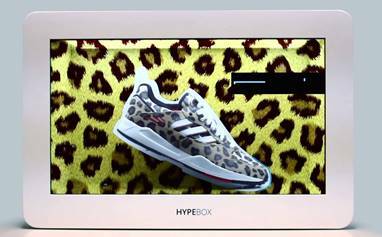 The HYPEBOX in a shoe store served the shopper quite the experience! With limited front window space a store was able to entice the passerby at a much higher percentage than with just a real life, static shoe! Even advertising for other shoe colors or types! This was a great way to draw in people off the street and the store was able to easily change up the content based on sale days or any other ad they wanted to run. 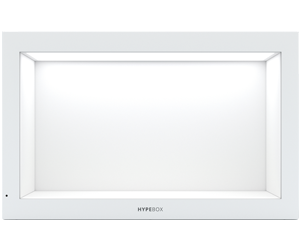 Reach out to a HYPEBOX Specialist today to inquire about our transparent displays!